Breast Cancer. Two words nobody likes to hear. Two words that affect 1 in 8 women, and their families. Brian and I recently had the amazing opportunity to meet and document the stories of ten powerful women who have fought to keep breathing in their battle against cancer. Julie and her bag of tricks. Kim and the unfailing support of her husband. Rosemary and her continuous survival, support, strength. These three and many more remind us how strong we truly are and what faith, family, and friends can do for us. "Keep Breathing" - the Fight for Life from Faces in Focus Photography on Vimeo. Many many thanks to Karen Goforth of Irresistible Portraits, the woman behind this four year old organization. Last Friday, she hosted Piggin' Out for Pink - a fundraiser for Focused on A Cure. So many incredible sponsors joined together for a truly fantastic night at the Vintage Motor Club. I know, I know. My blogging has been terrible. You've missed me haven't you? Well, I hope so anyway! It's been a busy few weeks, but business translates into gorgeous sessions posted right here! We can't wait to share what we've been working on. But in the meantime, here are some laughs to make up for this slight blogging hiatus. Weird, this looks an awful lot like Brian and my marriage license. Except ours also states, "You will buy me candy weekly." I recently rewatched every episode so I'm on a kick right now. Don't laugh. Stop what you're doing and watch it. Now. Trust me! Tune in Thursday to see our latest wedding album design, from Araceli & Jonathan's Pine Lake Pavilion wedding! I shouldn't tell you this, but apparently when I get busy, my brain stops processing normal functions. Like the other day, I was looking at a PDF sent to me with all the pages rotated sideways. I spent five minutes looking at it with my head sideways, before I realized I could ROTATE the page. Also there were several days last week when I literally FORGOT TO EAT. Brian had to like shake me and remind me to eat. I guess it's a side effect of wedding season. Fortunately, I've still got walking, breathing, and eating candy down, so at least those things are continuing as they normally would. I did however have a couple of breaks in the past few weeks, including a trip to Ikea in Charlotte. That was quite the adventure, I tell you. You see Brian and I are planning to move to a new 3 Bedroom Apartment in the next few months, which means I get to design a brand spanking new office. We also realize that, as our 3 year anniversary approaches, it's probably time for new living room furniture, so we're hitting up the furniture stores for a new set. So our trip to Ikea was our chance to maximize the space in our apartment and look for new creative pieces to enhance our new office. I knew that I wanted a relaxed area I could work with, with lots of organized storage and places to store my sample albums and display my canvases. And, thanks to Pinterest and Ikea, i found the perfect colors and accessories. Here are a few pics from my office inspiration board on Pinterest. I can't wait to get started on it, and get a nice new workspace to focus in! In other news - if you follow me on Instagram (@arianawatts), you would have seen that my Martha Stewart side came out a little bit. I made a watermelon baby carriage for a baby shower, and it was adorable!! Told ya! Adorable! :D So adorable, nobody wanted to eat it! It was pretty fun and easy to make too. I actually surpised myself a little bit! Well that's the latest for me. We have an exciting weekend coming up with Caitlyn & Daniel's wedding, and are getting geared up and ready for what is bound to be an amazing wedding! Hope you all are enjoying your week. Have a happy Tuesday! For those of you who follow me on Twitter or Instagram, you probably were relatively aware that I was on the other side of the country a little over a week ago. And yes, I DO think a Sleepless in Seattle quote was called for and NOT corny. Mmmkay? Anywho, I had the privilege of visiting my family and watching my aunt graduate from the University of Washington with her PhD!! Awesome, right? I was a majorly proud niece, I’ll tell you that. It was my first chance to see not only Seattle, but the West Coast, and I had a fabulous time. I fully intend to go back and do all the touristy Seattle things that people do, but for my first trip, I got a great glimpse of the city, and absolutely loved it, despite the four days of rain we enjoyed. The best love is the kind that awakens the soul; that makes us reach for more, that plants the fire in our hearts and brings peace to our minds. That’s what I hope to give you forever. If I had to move to anywhere in the world, I think I know for sure, it would be Lebanon, Virginia. Rolling hills and mountains, gorgeous views, and the most peaceful atmosphere in the world! I photographed this wedding and this engagement there last year, and I have loved this place ever since. Last weekend I had another chance to visit my friend Cherise and her new husband Stu, and I fell in love all. over. again. I'm looking forward to sharing images from our trip on Friday! 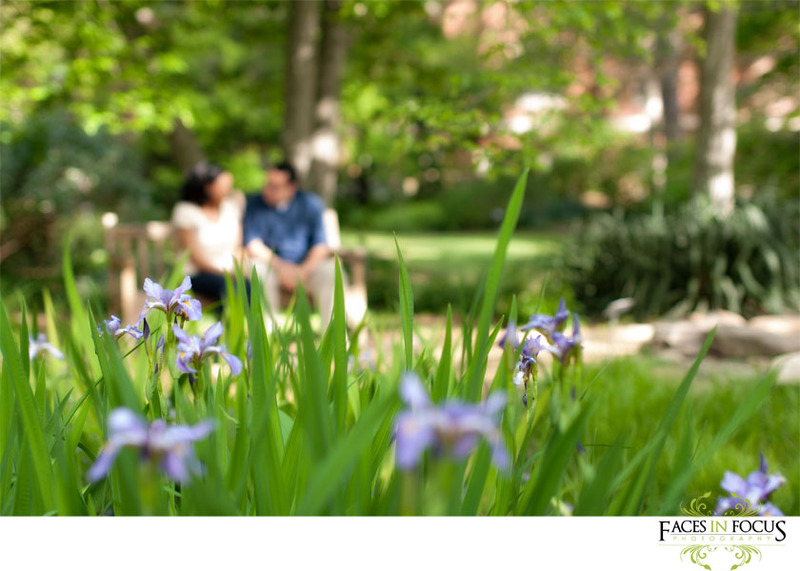 We are also pretty thrilled to have had the opportunity to have Jessika & Kevin's Duke Garden's Engagement Session featured on The Lovely Find! This is such a great blog - if you haven't been over there yet, go! It's a great resource for bride-to-be's! Ahh! The wedding! That's right, you're getting married! That's it! Best day of your life, walking down the aisle... Oh, your body's a battleground, there's a chemical war inside! Adrenaline, acetylcholine, wham go the endorphins! You're cooking! Yeah! You're like a walking oven, a press cooker, a microwave, all churning away; the buttons reach boiling point and Shazam! Since last weekend I photographed two weddings with brides and grooms who are avid fans of the Doctor, I thought a Doctor Who quote was applicable this week! I realized at the end of April, how quickly May has just filled up! We get to do some pretty cool new things this month. I'm assisting two photographers on two out of state (VA & SC) weddings - holla!! We've got two senior sessions this month, with awesome peeps. And Brian and I are taking a day to get in front of the lens - we're getting our own photo shoot with the incredible Liz Grogan Photography. Now, if you're following us on Facebook, you would have seen this week's sneak peek already. If you haven't though, stop over and like our page, stat! Jessika & Kevin's Princton, North Carolina Wedding at The Gurley House. You should be kissed every day, every hour, every minute. Oh, how true that is! Thank you Nicholas Sparks, for giving me something to tell my husband every, single, day. I saw The Lucky One over the weekend, and I have mixed feelings about it. I read the book a couple years ago and wasn't that in love with it. The movie wasn't exactly spectacular, but Zac Efron was quite the cutie, and he played the piano, so who cares?! Ha, I kid. It was a nice romantic reminder though, and even though I didn't cry, I did enjoy Zac Efron the movie! Feel free to visit these previous posts and leave some love! I've been accumulating this massive collection of movie quotes, something I've been doing for years, and I thought, why aren't I posting some of these awesome ones on the blog? So, now I am! In the meantime, here is a sneak peek of this weeks engagement, taken at the Coker Arboretum in Chapel Hill. Looking forward to sharing the rest! Brian tells me all the time that I don't clean, I organize. And for all intents and purposes, he's right! I can't just wipe down the counter, I need to make sure my spices are in alphabetical order and my containers in a straight line. It's just what I do. It's not done if its disorganized! Thankfully I'm the same way with my receipts and my wedding contracts, which are neatly organized by wedding date and bride name, in my adorable green filing box. That being said, I do take a periodic look through my files to make sure they're updated and I started to realize what great venues I will have the opportunity to photograph in the next few months. Here are just a few that I'm especially thrilled about! I love this venue! It's located next to a gorgeous lake, has this very amazing tent for the reception and is an overall beautiful location. I've had the opportunity to photograph there before, and am looking forward to going back to photograph an upcoming wedding there in April. The Grand Marquise is exactly as it sounds. Elegant. Grand. Beautiful. I'll have the opportunity to visit this venue in June, and I look forward to using the grand structure of the ballroom for some very romantic photos. The Hayloft is perfectly southern, perfectly North Carolina. It tugs at my inner Southern Belle and I can't wait to visit this gorgeous barn in July. I can only imagine what the bride & groom will do with this location! Some other amazing venues I cannot wait to photograph someday include The Venue at East Front in Burlington, NC, The Arbors in Cleveland, NC, and Proximity Hotel in Greensboro, NC. I know any wedding held at any of those venues would be stunning, and I would be super excited and honored to be a part of that wedding. Fa reals! Happy Planning you brides out there! Thanks for reading! Yes, we are leaving on a plane - today actually! Packing up the suitcases and heading off to Atlanta. We have been looking forward to this trip for almost two months now and we are über, yes, über excited. We plan on taking a ton of photos, looking supremely awesome in our new Atlanta outfits, and meeting a ton of amazing photographers around the Atlanta area. Wow, I said Atlanta a lot. Any one still wondering where I'm going? DARY! LEGENDARY. Like fa reals! Anyway time to do some last minute packing, and pick out which books I will be too excited to read on the plane! Thanks for reading! Every year it snows at least once. In 2010, it was a brief snow, and I only got one photo, but I was happy nevertheless. In 2011, it was a great snow, and I marched around my home with my husband and Shelby and inhaled the perfect wonder. In 2012, though, my annual blog post about my obsession with snow came a little late. In fact I thought that I would go this entire winter without enjoying the oh-so-perfect form of water, which silently blankets the earth to transform it into a world unseen and untouched, quiet and solemn. For it is not JUST snow, it is a transformation. A revision. A mere footnote to the original landscape. It is... perfect. Oh yeah, I get poetic when it snows. And alas, this forlorn winter threatened to pass without even a hint of white wonder, but it did not and today, well today. I am happy. I am warm. And it has snowed. So here is 2012's blog post. A happy ode to my favorite, oh my FAVorite thing in the world. For snow, alone, yes, Snow. She is the one thing I love more than all other things. Yes, even candy. Anywho, thank you 2012, for not letting me down. It's easy to get jaded nowadays. We have little devices in our pockets that can access the sum of mankind's knowledge to date in seconds. We can soar around the planet in metal tubes just as easily as we would lay on the couch. We can capture reflected light, transform it into 1's and 0's, and change it back into light again to be viewable world-wide with a few deft keystrokes. But, in the case of this week's finds, I stumbled upon a couple of gems that reacquainted me with "wonder" and "awe" for a few moments. We hope you enjoy! And here's my own try at a little bit of time lapse and tilt shift during our vacation last year! I spent the better half of my high school career in my favorite place - the library. It was rare to not find my nose in a book, and most kids would call me a bookworm. Correction, DID call me. And while everyone is boarding the Kindle and Nook train, I am still obsessed with the smell and feel of a 300 page book. So when my mom took me to this bookshop that had $.25 books - I went ca-razy. Now, 40 books later, I thought I'd share what I've been reading lately! What isn't in this book? Epic journeys across Alaegasia, dragons and Riders, evil dictators who must be defeated, and everything that makes up a great story. I've been reading these books nonstop and couldn't recommend it more. I'm currently 3/4 of the way through the third in the series and I am itching to get to the finale and see how Mr. Paolini wraps up this amazing story. When I was in High School, I read Flowers in the Attic. From that point forward, I wasw absolutely hooked to V.C. Andrews. I even got grounded because I hid behind the counter reading, instead of doing my chores! Fortunately I wasn't grounded too long, and thank goodness for flashlights! Well my mother happened to come across a collection of V.C. Andrews book, and couldn't help but bring me several complete SERIES. It's like the Netflix of books. I read the Hudson series this past week and I've thoroughly enjoyed reading about the suspense, drama and secrets of these families featured in these books. They're fun reads! Next on my shelf? A Tree Grows in Brooklyn (which I read in high school already and was SO good!) and The Mists of Avalon. They're the newest editions to my library and I can't wait to start them. Thanks for reading! Pun SO intended. I had this unsettling thought the other day. Inquiries. They’re a little slow. And this is booking season. What happens if no one else books me this year?! Am I a terrible photographer? Oh my god what if my SEO isn't good enough?! What if people don't like my HAIR?! But I can’t say anything b/c Brian always picks on me and tells me I worry too much. So I’ll keep my mouth shut. Okay? Ok. Ignoring the fact that I had a conversation in my head AND a mild nervous breakdown, it was another week before the inevitable happened. After bombarding myself with thoughts & worries, I stopped taking my own advice, and worried. OUT LOUD. He was talking about our new portfolio and how great it looks and how he believes in me. He was so confident about this year being awesome that it just slipped out. But we’re not getting inquiries right now. It’s been a few weeks. I’m getting nervous. I regretted saying it, mostly because saying something out loud suddenly makes it very real. But Brian just laughed. I love it when you get so nervous. Everytime you do we get inquiries. Okay, he’s crazy, obvs, and I didn’t exactly appreciate him picking on me, but whatever. Except that the very next day… I got two inquiries. My first reaction? WHAT?!!!! My second? Brian is totally setting me up. But after I crossed that suspicion off my list and talked and emailed two fabulous brides, I realized Brian was kind of right. The moment I start to get scared, to question everything, and start reconsidering this business and my life, I’m reminded that it isn’t, nor was it ever, an overnight process. And that, with a little patience, they'll come. I have considered running around the house chanting, "No inquiries, no inquiries" but something tells me that coincidences don't come around quite that often. So for now I'll just keep working on things and telling myself that this year really is going to be a great year. Check back into the blog tomorrow to find out where my nose has been lately and on Wednesday for the rest of Crystal & Zaac's Chapel Hill engagement session! I love new beginnings. I’m that person who makes a goal for something, but I’ll start it on Sunday since it’s the beginning of a new week. Or buys a new notebook, but waits until the beginning of a new month to start using it. I like fresh starts! And while I’m not really one for New Year’s Resolutions, I do sit down at the beginning of every year and try to make a list of goals, not necessarily for myself, but for my business. And what better way to stick to a goal, than to write it down…. AND SHARE IT WITH THE WHOLE WORLD! I mean it’s a little weird, putting your dreams and plans out in the open for all to see, but I see it as an opportunity to push myself. I look forward to sitting down on December 31st, 2012, and figuring out how many goals I actually reached, and which have changed. Build & spread my brand. – Now that I’ve discovered my brand, and the direction I want to take, I hope to continue spreading that through the entire experience, from sessions, to prints packages, to DVD’s. Build my brand, and let people come to love me, for me! This is just the beginning, and in 2012, I hope each bride and groom have an incredible experience working with us! Complete a 52 Weeks Project – I know how easy it can be to get so caught up in the deadlines, and editing, and clients, that you forget to take photos of your life. Of fun. Of the now. So my goal is to take a photo of my husband and I together. ONCE. A. WEEK. Something random, even when nothing is going on. Hopefully, I can post them each week, but even if I don’t, my goal is that, at the end of the year, we can remember life as we knew it then, and look forward to another incredible year. Right now, those are my three highest goals. I know that as I go through the year, I’ll have more to add to my list, and some that will change, but for now, I like that I’ve sort of shared with the world my three biggest ones. I look forward to what this year brings! I was trying to find myself. Who I was, and what this business was. So I made this list. This crazy, random list about the things I like and love. NO one would have understood this sheet of paper! It varied from Sour Patch Kids, to the Notebook, to the color green. And then, you know one of those moments in a mystery movie where the main character looks at a sheet of paper and the words just pop out at them and they put together some clue? I had one of THOSE moments. Words started standing out with this little theme flowing through them. And suddenly I understood. I had flashbacks to my relationship with my husband and remembered all the CD's he made me filled with romantic love songs. I remembered all the movies we would watch together, and how we could talk to each other in love quotes. It was one of the biggest reasons we fell in love. Then I thought about high school, and how I used to obsess over quotes and songs and romance. I was drawn to love and hopeless romance. And I had revelation. It was like whoa... I called Brian and I told him, "I know what our brand is. I know what we've been slowly, unconsciously striving toward. Love. And not just any love. The unexpected kind. Like the movies." And it began. Our first level of rebranding. So we have updated our blog and created a whole new portfolio. Because we want you to feel like your love is just like it is in the movies. Unforgettable, passionate, and romantic. This year I've formally taken on Brian as part of the team in every way. We've incorporated video services in every engagement session and every wedding. Your love IS like a movie. You should feel that way. 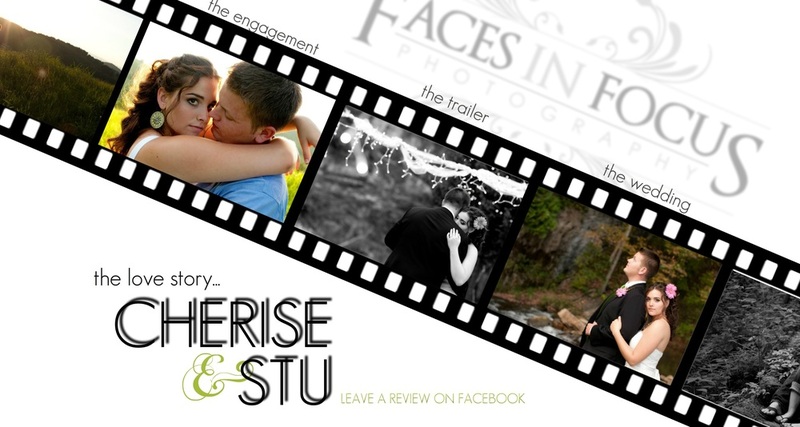 Keep an eye out on our new "trailers" - behind the scene videos of our engagement sessions. Then, as wedding season begins, watch the Highlights videos of our weddings. We hope we can help all of our brides and grooms to enjoy the most exciting time of their lives, and remember how incredible, and how amazing it was to marry the person they loved. We invite you to visit our new Portfolio Website and peruse the pages. We're SO excited to premier this site! For all of you who just got engaged over the holiday season - we hope we get to meet you and celebrate your love with you. Thank you, Internet, for your continued support. And HELLO 2012!! I love quotes. When I was in high school, we used to get these day planners, which was the beginning of an obsession that would last until I got my iPad…. I would fill up those pages with song lyrics, quotes, hearts, and the name of the latest crush I had that year. Typical girl, I know. I kept them, and every once in a while, I like to revisit 2006 and read about who I was in “love” with that year and all the sweet, sappy song and movie quotes I gleaned. I’ve moved on from putting guy’s names in hearts and dedicating hopelessly romantic songs to them, but I haven’t gotten over quotes themselves. If you follow me, on pinterest, you’ll see I’ve re-pinned my fair share of them. And I’m such a SUCKER for romantic movies. Especially the ones that make you cry. I consistently put myself through the torture of movies like Titanic, and P.S. I Love You. And I am SUCH a crier. I mean I’m pretty sure I cried over every episode of Grey’s Anatomy from Season 1-3 and my eyes watered while watching Jim & Pam fall in love and get married. I’m like a compulsive crybaby and I can’t understand why but I can’t help myself. Call me a hopeless romantic okay? Anyway, since I’m on such a quote kick, I thought I’d share a few of my absolute FAVORITES that I’ve heard or remembered in the past week or so. The Office – “When you’re a kid, you assume your parents are soul mates. My kids are gonna be right about that. Now these are just movies/shows. Don’t EVEN get me started on songs and musicals. I’d be here all. day. long. A squeal and a little jig. I admit - I squealed and did a little dance when I read it. Katie (whose family was featured on the blog just yesterday) is a blogger. She writes about her kids and her art projects and what she'@ reading with her kids. Thanks to Google Reader, I've read every single post. So back to the squealing.... She wrote an incredible post today about being our giveaway winner and it is so, well, honest! I know so many people who get so nervous behind the camera, and it was really nice to see her perspective of how our session went! Click here to read the blog post. If you’re a photographer, you’ve probably heard about Jasmine Star. She’s the master at branding. I know exactly the type of person she is, and the kind of clients she books. She clearly states that she is “a lifestyle photographer for fabulous people.” Her blog looks like pages straight out of a magazine, her website, the same. And just this week she announced, no, not a book, like normal people. A magazine. She WROTE. A. MAGAZINE. She’s outdid her own self, and everyone is excited. I desperately try not to compare myself to other photographers. I want to find my own path, my own style, my own brand, and my own dream. But when I see Jasmine Star, I see a woman who does that so well. And I get stuck on one thing – who am I, exactly? What makes me different? What makes Faces in Focus different from everyone else? I mean sure, in reality I’m new to the business, going on my 2nd official year (3rd if you count the year where I didn’t know which way was up). I don’t compare myself to others, but I don’t see how I stand out either! I ask myself all the time – who do I appeal to? Who do I want to appeal to? It’s so clearly seen when you look at photographers like J* or Jonas Peterson, or Ryan Brenizer. They know who they want, what they want, and they get it. I sometimes have no idea how to answer, “Who is your ideal client?” Um… someone who likes my work, thinks I’m funny, likes to have fun, and pays me in Sour Patch Kids? I mean WHO AM I? I guess I’m kind of on a journey right now. That’s what it feels like. I want to make it clear now. I don’t want to stand out amongst local photographers, and I don’t want to be famous. Those aren’t my sole purposes in this business. I want to be me. And I want to book clients who love me for me. I had lunch with my amazing friend Becki, and she had quite the same questions earlier this year. She went away for a while, traversing the mountains, wrestling bears, and just being free. She came back with a renewed vigor for life and she’s making those changes to be the photographer SHE wants to be. I’m inspired by her. By Jasmine Star. By people who go after what they want and know Exactly. Who. They. Are. I’m happy I have my family, my dog, and my photography. Here’s hoping that I’ll stumble upon who I am at the bottom of a bag of Sour Patch Kids or something. It's November!! The leaves are falling, we can start to see our breath in the cold morning and the Holidays are approaching. It's just that time of year. Think of one person you know who needs or deserves a photography session, and tell me why. It could be for any reason, but I want to know why YOU think they deserve it. Did they just have a baby? Has Grandma never had a photograph taken with all of her grandchildren? Did your fabulous mother just beat the odds and is still here today to celebrate and keep your lives filled with love? Tell me their story. The winner will receive a Mini Session with Faces in Focus Photography, to be silly, laugh, cuddle, and play with their favorite people in the whole wide world. AND, so will their friend. That special person who so deserves a session, gets the exact same thing. Both of you will walk away with 30 minutes of fun, an online gallery of 15 images, and a free 8x10! There are three steps to enter the contest. 1. Post your response on our blog using the Add Comment link below. 2. Post your response on Facebook. 3. The winner is going to be chosen and announced on our Newsletter, so in order to find out if you won, you’ll have to sign up for the newsletter too, using the box below. The contest ends at 9:00 AM on Friday November 4th. The winner will be chosen by Sunday, November 6th. So what are you waiting for? On your marks.... Hehe just kidding! I can't wait to hear all of your amazing stories! I know choosing a winner for this is NOT going to be easy!